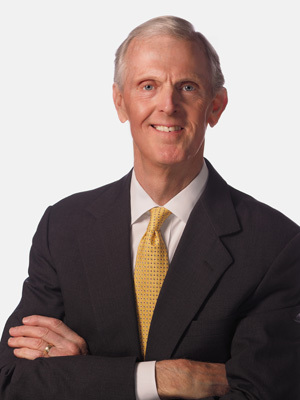 Robert B. Holland brings extensive knowledge and experience in the area of comprehensive financial planning, investment management, retirement and estate planning in working with his clients to assist them develop unique strategies to help them put their financial affairs in order. Bob has been recognized as a Five Star Wealth Manager in the Philadelphia area for the years 2011, 2012 and 2013*. A graduate of Grove City College in Grove City, PA he also earned the Certified Financial Planner™ Certification (CFP®), Chartered Financial Consultant (ChFC®) and Chartered Life Underwriter (CLU®). In his free time Bob enjoys keeping active by traveling, sailing, golf, scuba diving and skiing. Bob and his wife Cathy live in St. Davids, Pennsylvania. *2012 and 2013 awards based on 10 objective criteria associated with providing quality services to clients such as credentials, experience, and assets under management among other factors. Prior to 2012, award was based on client satisfaction. Respondents evaluated criteria such as customer service, expertise, value for fee charge and overall satisfaction. The overall score is based on an average of all respondents and may not be representative of any one client’s experience.